Thinking of Teaching Kindergarten in China? With strong ties to the ideology of the Chinese Socialist Movement and The Great Leap Forward ... and, after a meeting with Deng Xiao Ping in '75: later that year, in support of the Revolutionary Army, and from '76 on, Chinese ships started to arrive with supplies of rice, agricultural equipment and the following year with military hardware ... help was also received from North Korea whom showed great mutual respect and support. Intellectual suspects were summoned to return from abroad: Khieu Samphan came to address the returnees at a formal meeting: On rising to the podium, he notice Laurence Picq, the only westerner in the audience (the French wife of Suong Sikoeun a returnee national), Samphan had her excluded from the meeting. Sirin advised her: "For the next few days, you shall look after the Children. If you wish, you may also look after other children, after that the Organisation will look after you." --The Pol Pot Regime: Race, Power and Genocide in Cambodia by Ben Kiernan. What does all this have to do with Kindergarten in China? - I hear you asking. Well, it's merely a reflection on Chinese socialist philosophy. 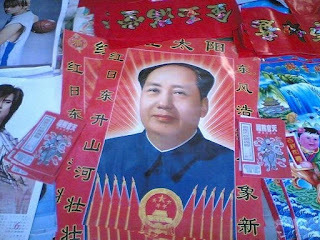 Unless, working for an international company in China, and as a foreigner, the best way the Chinese have to groom foreigners for socialism and breakdown independent thinking, or intellectualism, is to first use Kindergarten/English teaching as a form of test indicator towards social submissiveness - a test function of Chinese socialism. Where in China, people - liken to Children - with the most tolerance towards systemic incompetence-rise. What better place to groom one's skill-set for corporate life in Chinese society. In any Chinese business delegation scenario: dealing with Chinese enterprise, it is that: the Chinese team, seek-out the most sympathetic individual within any apposing delegation; one who shows the most tolerance towards their particular business initiative. At which point, that individual is then praised, and regarded as the preferred liaison - often receiving more gifts, attention and other benefits than other members of the same delegation. And as a result, this often leads to the individual being regarded as a proxy to future business relationships within his own company. One who is able to teach in China, and tolerate this system, is more than likely susceptible to being conditioned more easily under the Chinese system, and thus, more malleable than those regarded as independent thinkers.